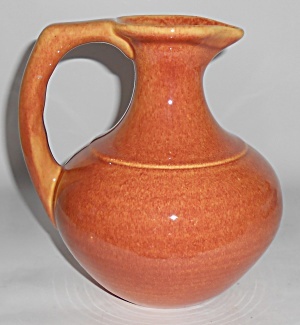 This is an offering for a pristine early Franciscan Pottery El Patio Golden Glow glazed ceramic handled coffee carafe. Early rings around the body from the Tropico influence. No mark. Shipping for this fine addition to your collection is $15.95.